It’s been one year since the car accident that killed her boyfriend left her scarred and shaken. Flanked by an eccentric posse of friends, she is serving out a self-imposed sentence at a halfway house, while trying to finish cosmetology school. Amid the rampant diagnoses, over-medication, compulsive eating, and acrylic nails of Los Angeles, Bebe looks for something to believe in before something–her past, the dangerously magnetic men in her life, her own bad choices–knocks her off course again. Her New York Times bestselling memoir, SOME GIRLS: My Life in a Harem, was published by Plume in April 2010. It has since been translated into fourteen different languages. 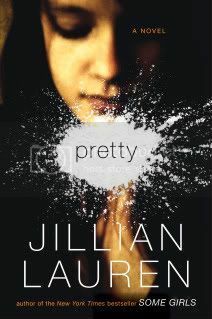 Her debut novel, PRETTY, was released on August 30, 2011. Jillian has an MFA in Creative Writing from Antioch University. Her writing has appeared in The Paris Review Daily, The New York Times, Vanity Fair, Flaunt Magazine, Opium Magazine, Society, Pale House: A Collective and in the anthology My First Time: A Collection of First Punk Show Stories. She lives with her husband and son in Los Angeles, CA. Discussion questions and a question and answer by Jillian Lauren can be found here. I just received the book yesterday. UPS was having issues. :( But I did start reading it and am about half way through. All I can say is WOW. This book is riveting. It's just amazing. I find it hard to put into words just how I feel. It seems very real. You find yourself wanting Bebe to do better and overcome. Truly emotional. 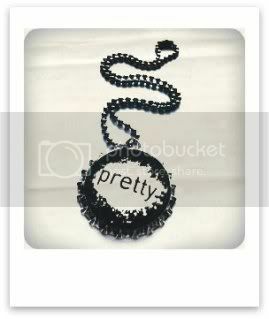 You can buy Pretty at Amazon for only $9.98. OR you can enter to win a copy here! To enter all I ask that you do is post a tweet on Twitter or post on Facebook about it. If you decide to do both then you get two entries. Giveaway will end on September 21st at 11:59PM EST. Winner will be chosen at random.